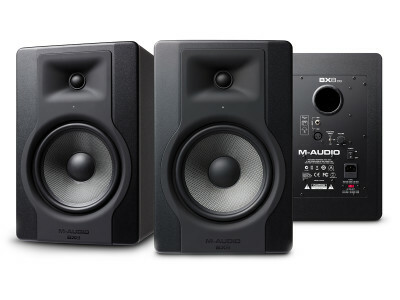 M-Audio, now part of inMusic brands, announced two new compact nearfield active studio monitors, which represent an effort to improve on the previous generation while maintaining very affordable prices. 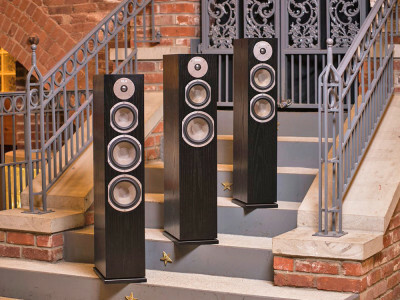 The new BX5 D3 and BX8 D3 are not exactly "reference" monitors and much less "high-quality" but, as the previous D2 generation already has proven, allow very decent results for musicians and home studios, in a very competitive market segment. 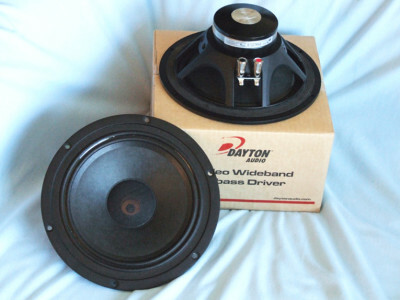 The transducer submitted to this Test Bench came from Dayton Audio and is the PM220-8, which is a wideband (full-range) neodymium 8” woofer. 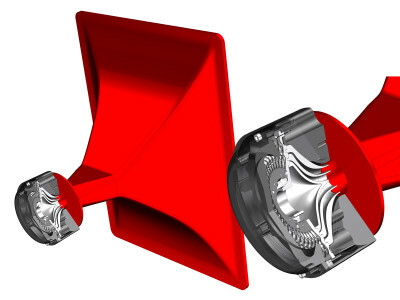 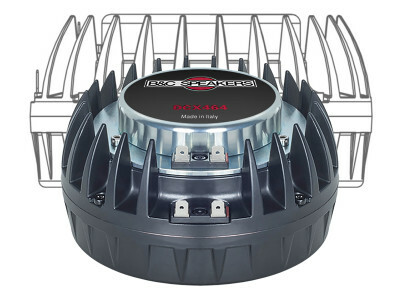 This driver is similar to the PS220 full-range 8” featured in Voice Coil October 2011. 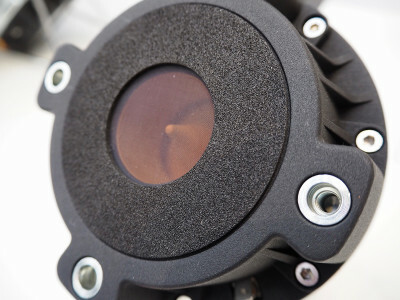 However, unlike the PS220 which is intended for use in a single-driver speaker, the PM220-8 is a wide bandwidth version intended for use as a midbass or midrange driver in a multi-way speaker system. 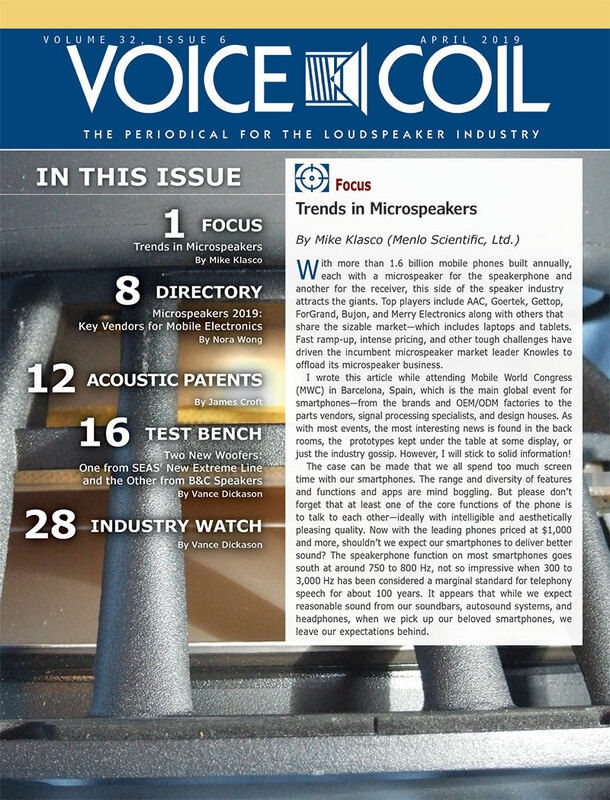 This article was originally published in Voice Coil, September 2013. 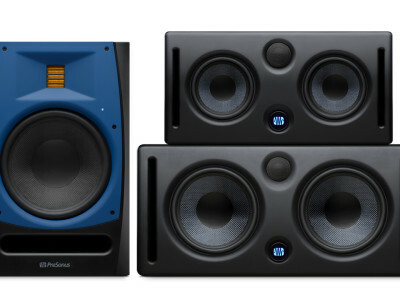 PreSonus has announced the new R65 and R80 Active AMT Monitors, featuring a custom Air Motion Transformer (AMT) tweeter, driven by a 50W RMS Class D amplifier, and 6.5/8-inch woofers driven by 100W RMS Class D amplifiers and featuring Acoustic Tuning controls. 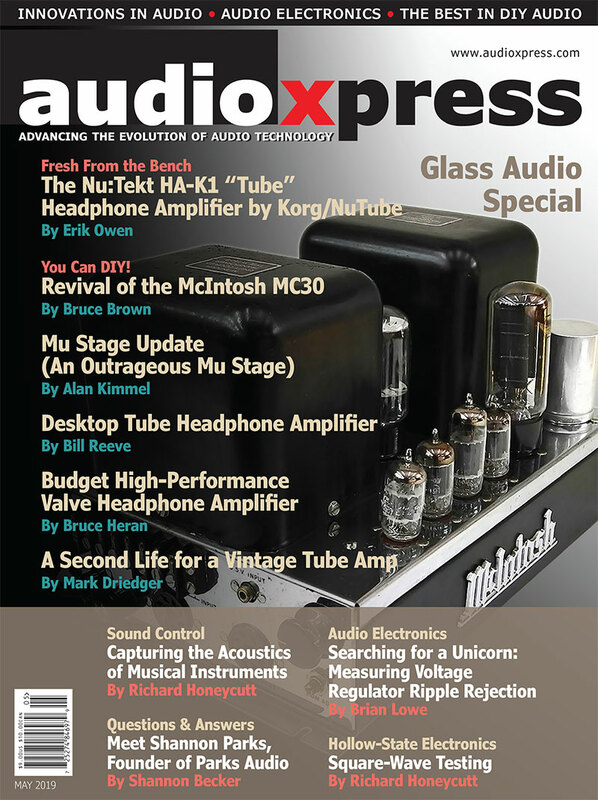 PreSonus also introduced recently the new Eris E44 and E66 two-way active MTM (Midwoofer-Tweeter-Midwoofer) studio monitors, providing a wider stereo field. 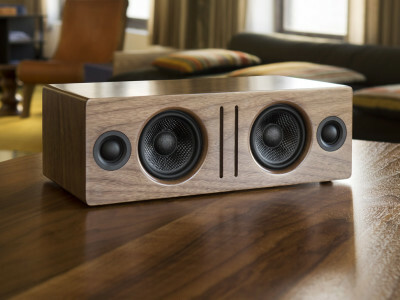 Audioengine introduced the Audioengine B2 Premium Bluetooth Speaker, combining the signature sound of the Audioengine 2+ Powered Desktop Speakers to the wireless world in a convenient all-in-one stereo speaker system. 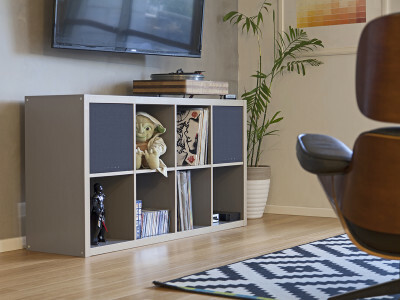 The new B2 Premium speaker features a built-in 24-bit DAC, aptX decoder and is available in American walnut, Zebrawood or Black ash wood finishes.